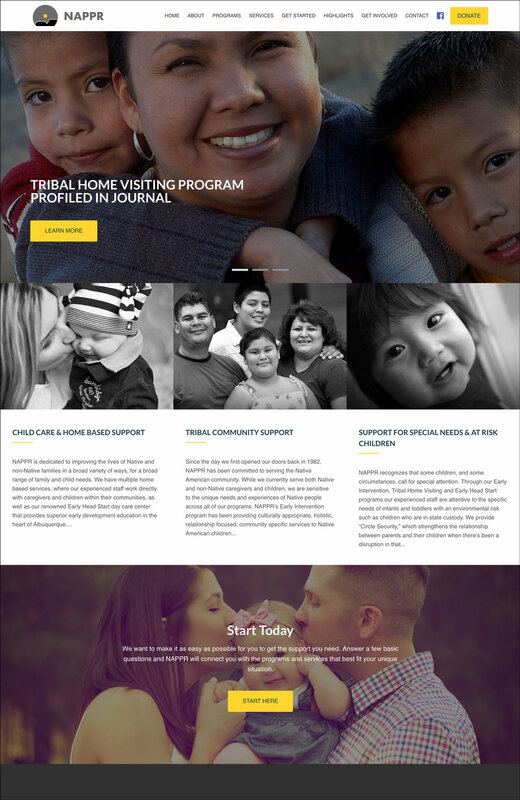 I was commissioned in the summer of 2018 to redesign the website of NAPPR (Native American Professional Parent Resource), a non-profit based in Albuquerque New Mexico that empowers, educates, and provides supportive services to build healthy Native American children and families. The site is fully responsive so it automatically adapts visually to the screen upon which it is being viewed, and can be easily updated and maintained by the client. 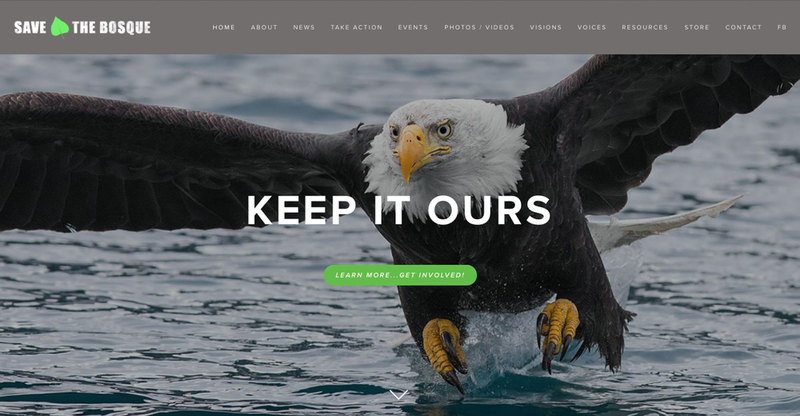 In the Summer of 2016 wildlife photographer Steve Wentworth contacted me to create a portfolio website that would highlight his great work. 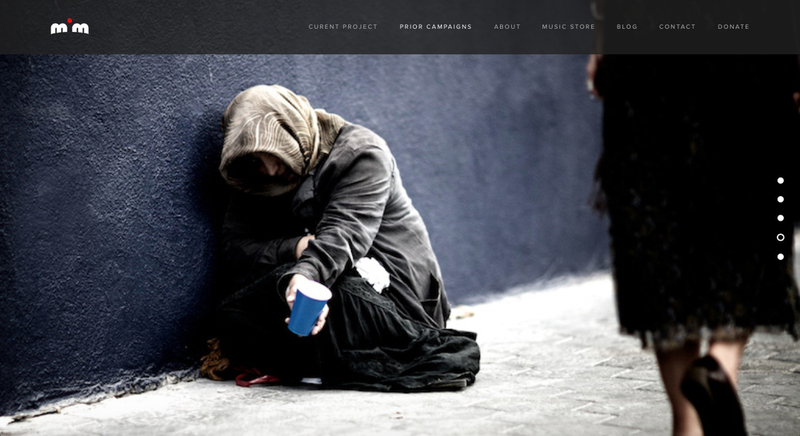 The site is image-rich yet loads quickly and is fully responsive. It uses Squarespace as the content management system (CMS) so Steve can easily update the photos and information as needed. 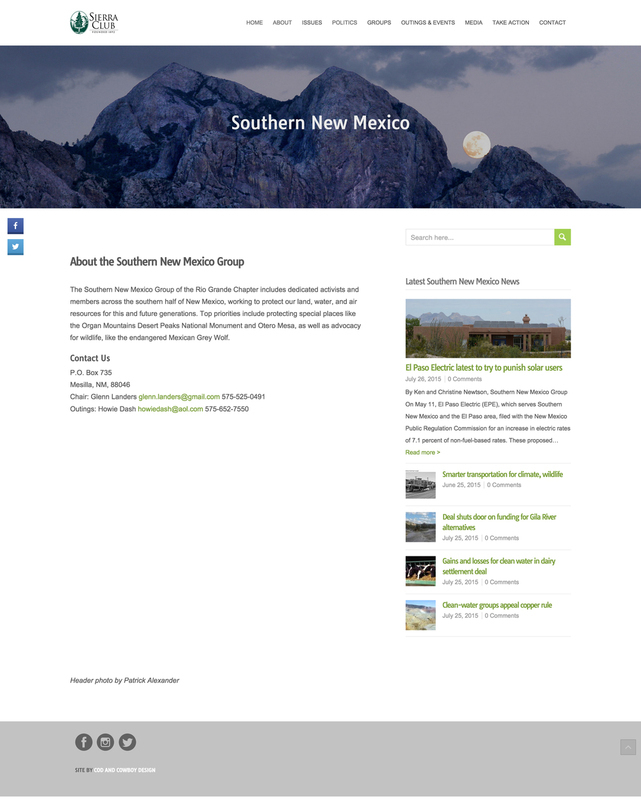 In the Spring of 2015 I was approached by the Rio Grande Chapter of the Sierra Club to re-design their website. 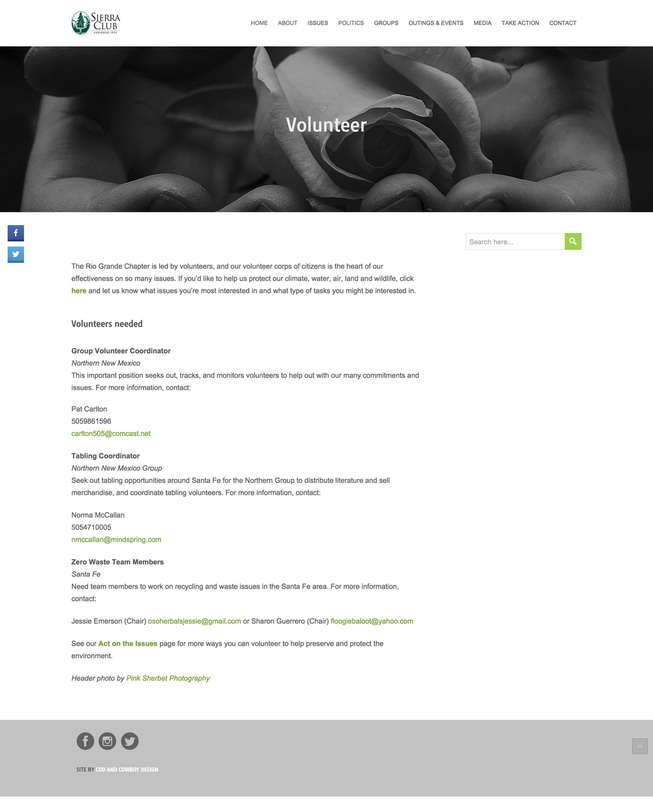 I created for them a responsive design that streamlines content creation and maximizes social sharing, in order to facilitate their outreach efforts. The mim.fm website features a clean layout with parallax scrolling, and has a responsive design that adapts elegantly to a variety of viewing sources (desktop, laptop, tablet, smartphone). 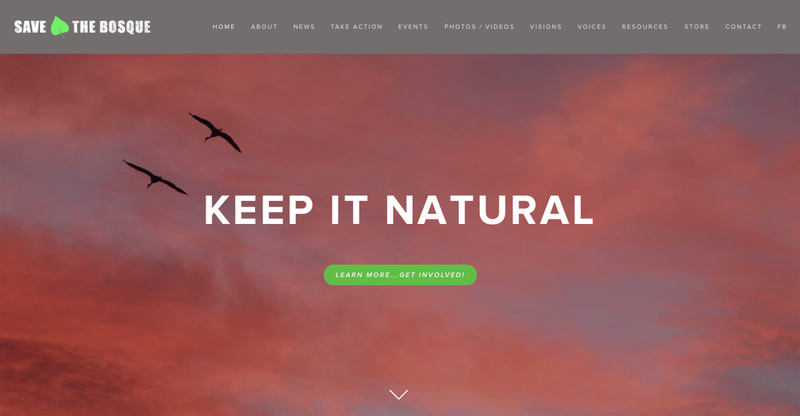 The website was developed for The Bosque Action Team, a coalition of individuals and humanitarian organizations that formed to preserve a stretch of land, called The Bosque, running down the heart of Albuquerque New Mexico. 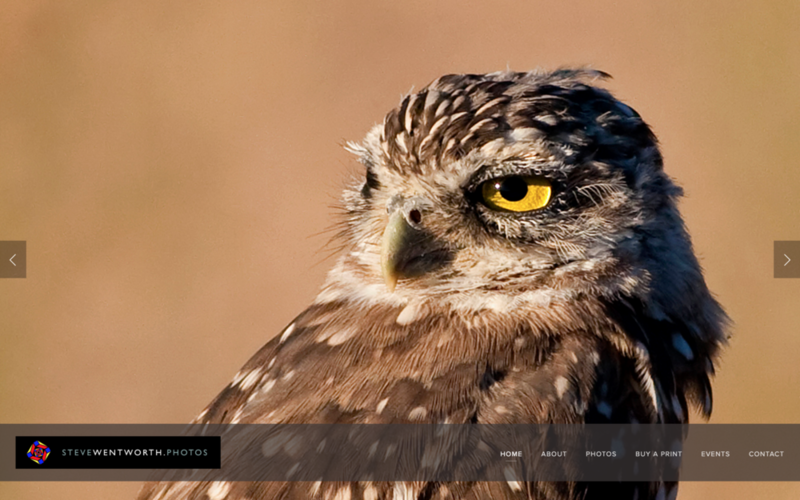 The site features a rotating slideshow of Bosque images on the homepage. 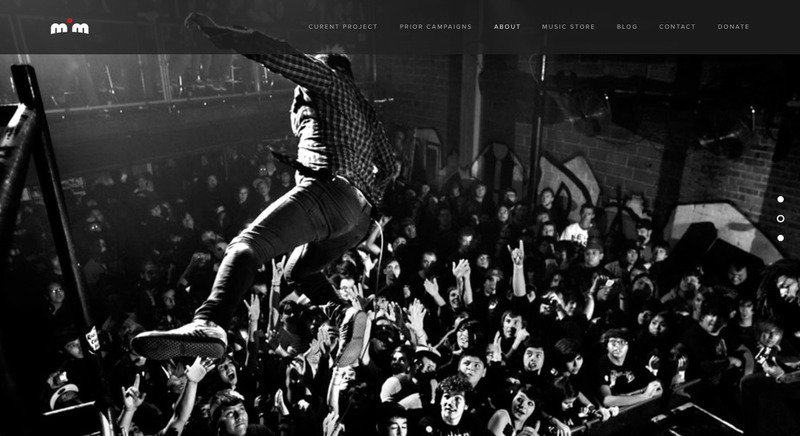 Like the mim.fm website, this site is fully responsive and features a content management system (CMS) that makes it easy for the client to maintain and update the site on their own. The website for Ed Forte's architecture and design company, Forte Architecture + Design was created a few years back, when Flash was the high-end web design platform of the day. Web technology has changed, but the site still remains a showcase for Mr. Forte's work, as well as my web design skills and design aesthetic. Like the Forte site, the first Jogglebox site was rendered in Flash. And like that site, though the platform is no longer in vogue, my technical skills and aesthetic sensibilities are on display.